The liver is a real cleaning factory in the body. Liver has a vital function in our organism; it neutralizes all the harmful assets found in the body. This is a liver cleanse juice recipe that will protect and keep your liver healthy and helps you lose belly fat in record time and at the same time cleanses your liver of all the accumulated toxins giving you strength and vitality. Liver functions as the first line of defense against toxins and acts like a filter by preventing toxic substances contained in foods from passing into your blood stream. Keeping your liver in a top working condition is essential for maintaining a great health, and this liver cleanse juice can help you detox your liver and restore all its vital functions. Limes are excellent for liver cleanse as a result of the presence of vitamin C and antioxidants which combined together prevent liver store fat and trigger its great detoxifying potential. It has also a great deal in releasing toxins and pesticides from the system. 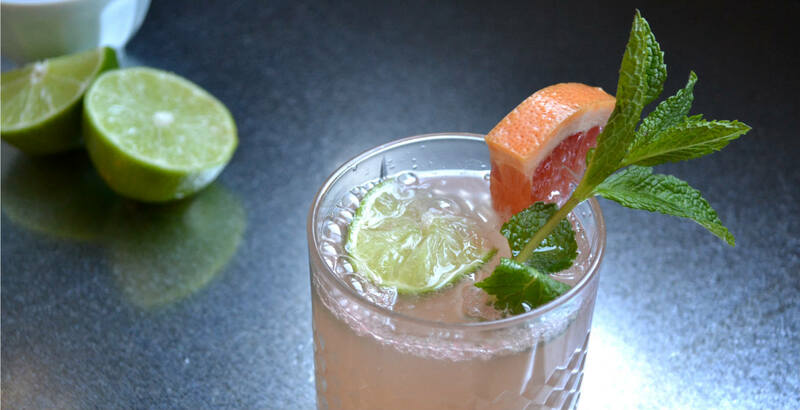 Grapefruit increases the production and activity of detoxifying enzymes in the liver, which is responsible for the elimination of toxic substances from the body. Introduction of grapefruit into your diet significantly increases the natural cleansing processes of the liver. Vitamin C is excellent for the detoxification process and gluthathione is the main enzyme needed to detox stuff in the body. Ginger has a strong cleansing effect on the body, and one of the best features is that it helps the body absorb the nutrients and minerals taken in by eating. One thing that is often overlooked by those trying to detox the body is that it’s not just about getting rid of the toxins, but replacing them with the things your body does need. Using a spice like ginger can go a long way in assisting your body in absorbing the things it needs most. Ginger is also really great for the digestive system, and can help reduce the symptoms that come from detoxing, including flatulence and bloating. Grater the ginger and the garlic and put them in a blender, then squeeze the grapefruit and limes, strain the juice and add the juice into the blender. After that, add the water, the cumin, sesame oil and the mint. Mix it well and the juice is ready.